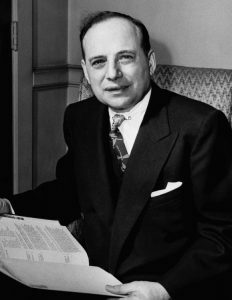 Benjamin Graham (May 8, 1894 – September 21, 1976) was a British-born American economist and professional investor. Graham is considered the first proponent of value investing, an investment approach he began teaching at Columbia Business School in 1928 and subsequently refined with David Dodd through various editions of their famous book Security Analysis. Graham’s followers include Warren Buffett, William J. Ruane, Irving Kahn, Walter J. Schloss and others.